Review: Chicano Batman, 'Freedom Is Free' The Los Angeles band's distinct sound includes touches of Rio de Janeiro's tropicalia, Lima's cumbia, and American soul and funk. My enduring memory of Chicano Batman dates to the first time I saw them perform, back in 2010, at a bar called Footsies in Los Angeles's Glassell Park neighborhood. It'd be generous to even describe the space as "tight," as the group was surrounded by fans so close that one could have swiped Bardo Martinez's keyboard off the ironing board he used as a stand. Yet, as cramped as it was, once the group began playing its blend of pan-Latin inflected music, it's like the walls melted away and we were transported to a straw-thatched patio on some coastal city rooftop, tar and concrete beneath our feet but a hint of ocean on the horizon. The group's previous albums, including their eponymous 2010 debut and 2014's Cycles Of Existential Rhyme crafted a distinct sound through their embrace of myriad musical touches, including the psychedelic fuzz of Rio de Janeiro's tropicalia and licks of surf guitar reminiscent of Lima's cumbia peruana. However, with Freedom Is Free, the group is now incorporating the rhythms of American soul and funk music. I've been so accustomed to their Global South syncretism that it took me a moment to place why, on "Angel Child," the snap of Eduardo Arenas' bassline and angular attack of both Martinez and Carlos Arévalo's guitars felt so familiar and then it hit me: It's pure James Brown. Chicano Batman has always exuded soulfulness in a broad sense of the term, but with Freedom Is Free, they're deliberately playing with '60s and '70s R&B influences. Ample credit goes to new collaborator Leon Michels, the Brooklyn-based soul producer who's worked with everyone from Lee Fields and the late Sharon Jones to the Black Keys and Wu-Tang's Raekwon. Together, he and Chicano Batman don't transform the group's sound so much as subtly expand it. Gabriel Villa's funky drumming becomes a more prominent anchor, especially on the album's outstanding, mid-tempo stepper, "Jealousy," while the title track still hums with dream-pop guitars, but now adds a boogie bounce on bass. 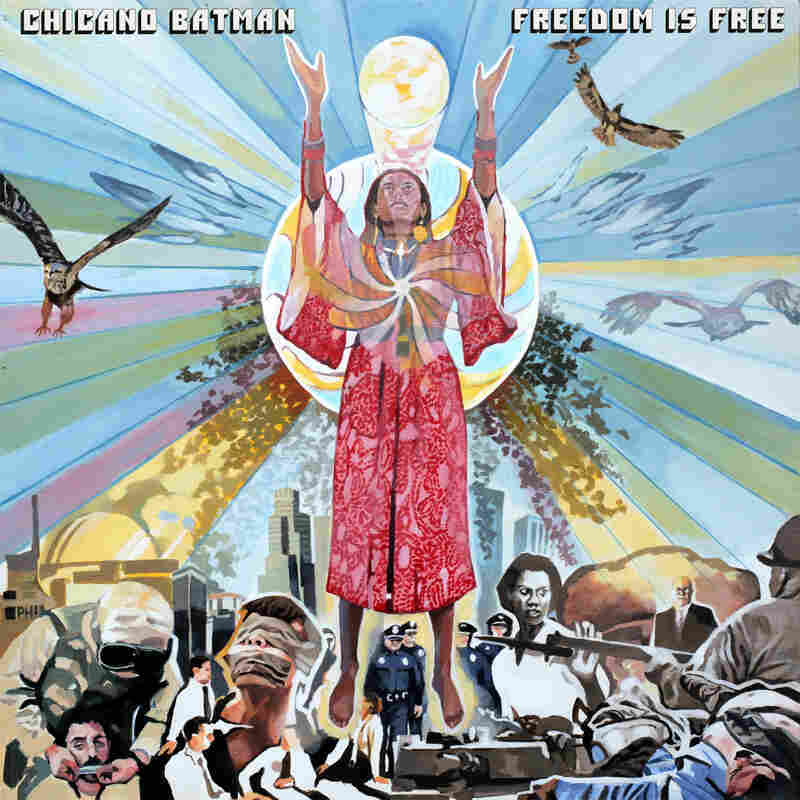 As Freedom Is Free's title suggests, Chicano Batman is also making a statement on the current moment, a deliberate rejoinder to the militaristic bromide that "freedom is not free." I'm not sure Chicano Batman has ever cut a track as explicitly political as the album's penultimate song, "The Taker Story." Martinez, normally so languorous on vocals, brings a more forceful presence, like a latter-day Gil Scott-Heron or Eugene McDaniels, singing about the predatory nature of mankind and how it leads to "genocide and extinction, all the functions of civilization." It's heavy, heady stuff, but the group follows that with an instrumental, "Area C," a cool breeze of a closer that coasts on the group's trademark, balmy grooves with just a hint of drum machine burbling in the background. It's a calming, contemplative end to the album, one last strum of comfort for these uneasy times.